There are some other stories related to the ancient earthquakes and tsunamis in the Pacific Northwest. 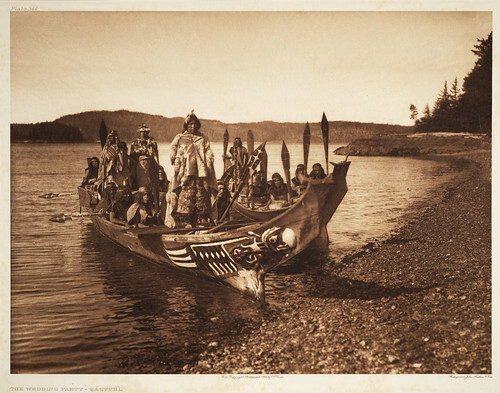 This photo was taken by Edward Sheriff Curtis, a professional photographer from Seattle. It depicts a Qagyuhl wedding party in the Pacific Northwest Coast.